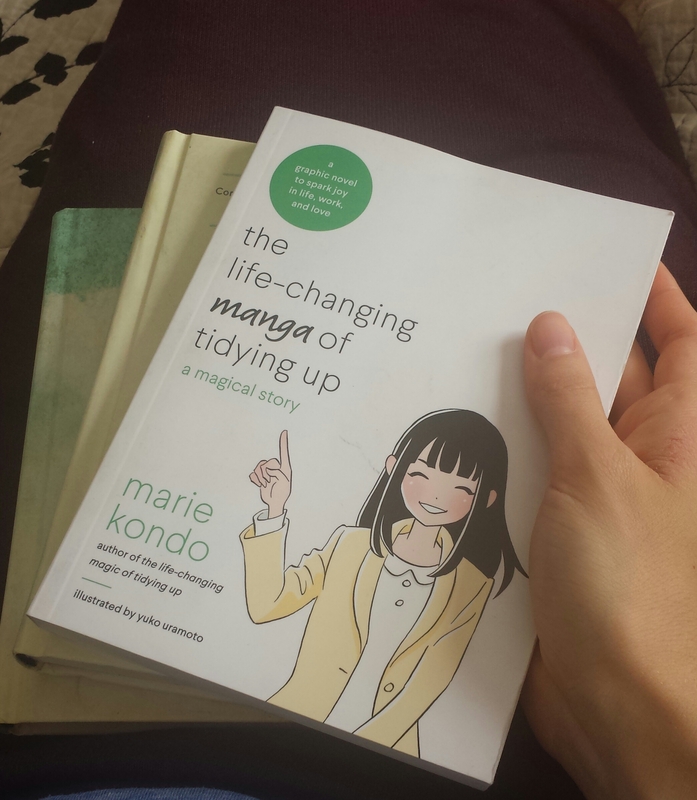 Before I launch into explaining the KonMari method of decluttering and organizing, let me just say that I love how compact Marie Kondo’s books are! They measure 5.25 x 7.25 inches and feel so lightweight. It seems fitting to have such adorably compact books on the topic of tidying up, ha! Only keep possessions which give you a sense of joy. Being surrounded by only the things you love helps you to live the life you desire. Before you begin, you must first visualize the lifestyle you want. Why do you want to tidy your home? What is it that you would like to do in your home? What sort of atmosphere do you want your space to have? What do you want it to look like? It’s important to know your WHY. Keeping your goals in mind is your true motivation for making the changes you need to make. Before organizing and storing, you must go through ALL of your possessions and discard whatever doesn’t bring you joy. Hold each item and ask yourself whether or not it brings you joy. If it does, keep it. If it doesn’t, thank the item for however it has served you and then part with it. To hone your ability to know what brings you joy, NEVER begin with sentimental items. Begin with clothing, as clothing is worn on your body and it’s the easiest to judge whether or not it brings you joy. As you discover what you like and what you don’t, your joy sensitivity increases and it will then be easier to sort through more sentimental items. Designate a place for EVERY item you own. Clutter is a result of not putting things back where they belong. If you have items with no designated home, clutter will always win. Also, store all items of same type in the same place, and don’t scatter storage space. These are what I consider to be the basics of the KonMari method. In my next post, I will share my lifestyle/home goals.